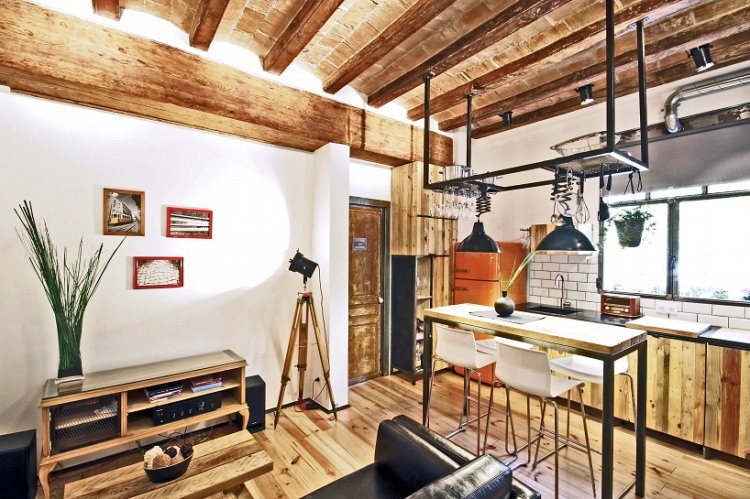 To meet the modern industrial look designers “transfodesigned” pallets, reclaimed wood from construction sites, old steel pipes, discarded lamps, toolboxes and various other objects. 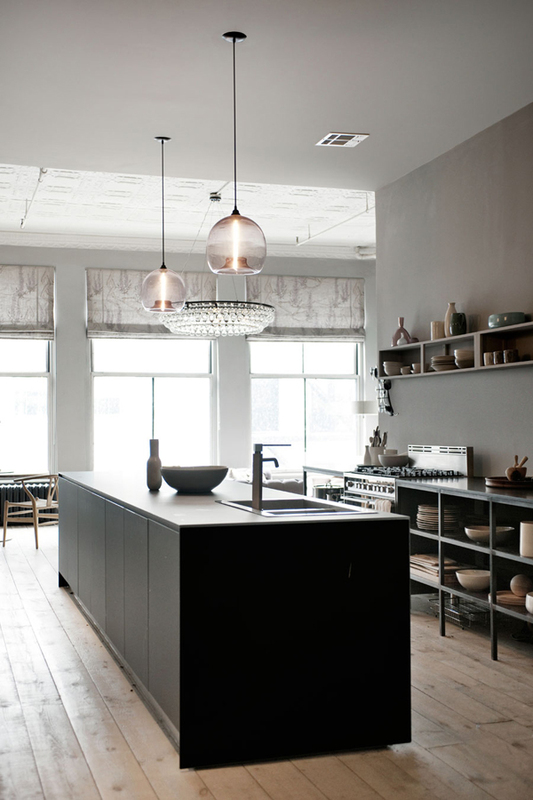 This kitchen is great example of industrial style. 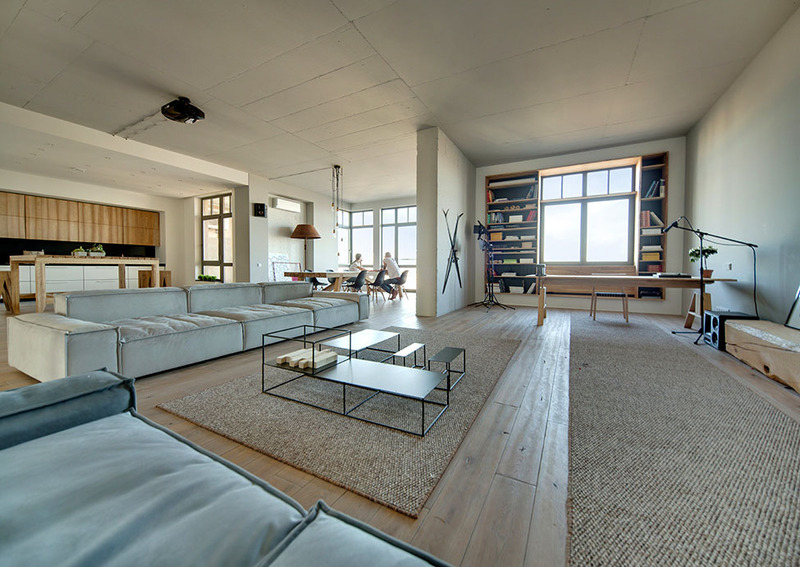 This loft apartement in Kiev, Ukraine has been renovated by architect Alex Bykov. The main wish of the owners was to create a library. It was raised on a small podium in one corner of the living room to maximise storage space.